Kinship provides quality mentoring for youth who face significant economic and social barriers, ages 5 to 18, living in the greater metropolitan area. The program connects children and youth with caring adults, couples and families. Furthermore, Kinship nurtures positive self-esteem and character development, strengthens connections to school and community, and is respectful & welcoming of all faiths. Mentor Elly and Kinship Kid Char are celebrating 1 year and 4 months as a Kinship Match. Taneal: "To start, Elly, why did you want to start mentoring? And Char, why did you want a mentor?" Elly: "I wanted to start mentoring because it has always been a goal of mine to be a role model in a kid’s life. My goal was to mentor a little girls from a young age up until she turns 18. Kinship has helped me embark on that goal. For that, I am grateful." T: "Has having a Kinship friend (mentor or kid) in your life had an impact on you? If so how?" Elly: "Mentoring Char has greatly impacted my life. I am more mindful of people with children and it has taught me patience. My time with Char has been so much fun that I can’t wait to have a kid of my own." T: " What have been one or two of your most memorable outings/adventures?" T: "What would you say is the best attribute about your Kinship Friend? Explain why you shared what you did"
T: "What is something you've each come to learn about each other since you've been matched"? T: "Elly, If you knew someone who was thinking about mentoring a kinship kid, but they had doubts about being able to do it, what would you tell them?" Over 150 Kinship Kids are waiting to be matched with reliable, caring, and encouraging mentors like Emily. If you or someone you know is interested in becoming a mentor contact Kinship today! Kinship Mentors and families were eager to get outside and be active. Kinship Kids ready for their first day of Camp St. Croix! Kinship annual back to school event. Thank You St. Phillips Lutheran Church and Fridley Fire Department! Thanks again to Thrivent Financial for your generous support and donation of Back to School Supplies for our Kinship Kids! Our partnerships with various community agencies allows Kinship to make available free and low cost event opportunities to our Kinship matches and families. Thank you to Tickets for Kids for all the donations they have made to our program. Because of their donations, Kinship families and Matches can enjoy sporting events and music concerts (highlighted in some photos above). Thank you to St. Phillips Lutheran Church for hosting our Back to School Event. Thank you to Almstead’s Fresh Market and Little Ceasar’s Pizza for lunch. 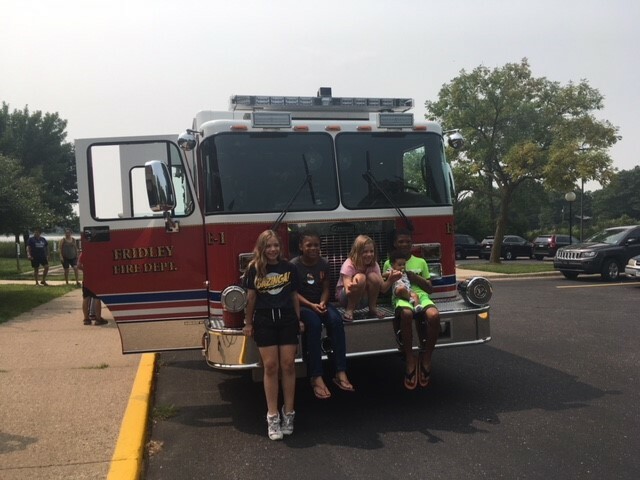 Thank you to Fridley Fire Department, and Fire Captain Jamie for sharing your fire truck with us. Thank you to Thrivent Financial for helping us pack over 90 backpacks full of supplies (shown above). Kinshoppe is back. Join us on Saturday, December 8th for our Annual Holiday Gift Celebration! Hosted by St. Phillips Lutheran Church. To inquire contact Kinship! Please find below a list of this Quarter's church, foundation, and agency based supporters! And the many individuals who show us your support! 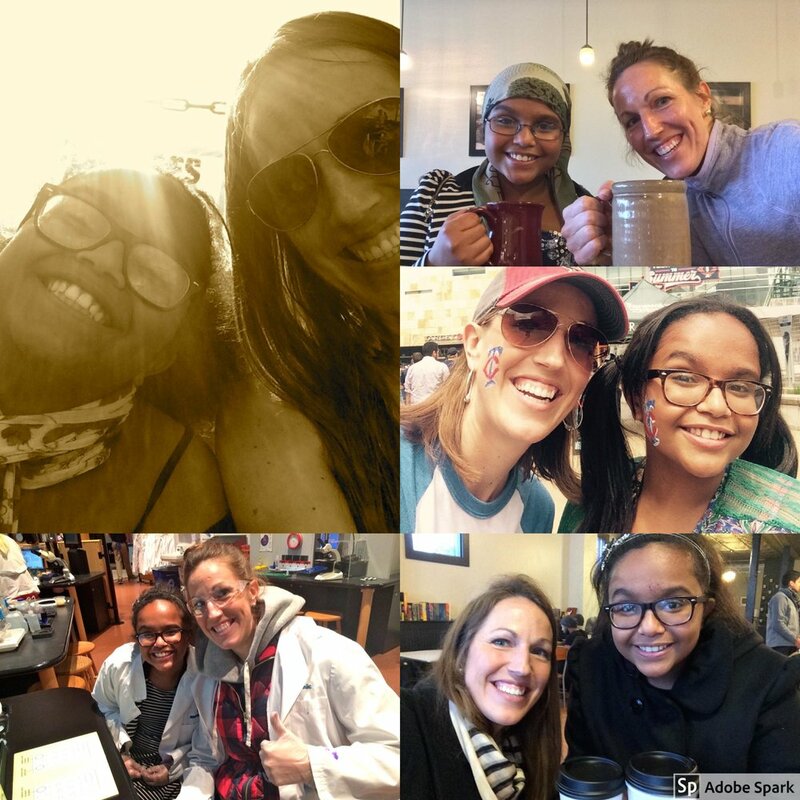 The 2018 Annual Survey (conducted all of March) allowed us to gain important snap shots of match quality, gain valuable program input from all participants, and utilize key outputs from the findings to make sure our program is doing what we hope mentoring can do for our youth and volunteers! This year marked a swell in survey response rate. Most notable, youth and guardian responses were double the amount compared to last year's survey! Here is a highlight of just a few of the results. "Far exceeded anything I could have imagined 12 years ago"
"Having antoher adult that my child can trust is very important to me and that is what [our mentor] has shown us"
"The positive effect on m y son has done him good"
"I fee adequately supported by the communication Kinship provides. They are always ready and willing to provide me with resources and advice when needed"
"The initial training was good and also when I reached out with a concern I received very helpful information"
"Staff is always inquiring about how the match is going and what more needs to be done. 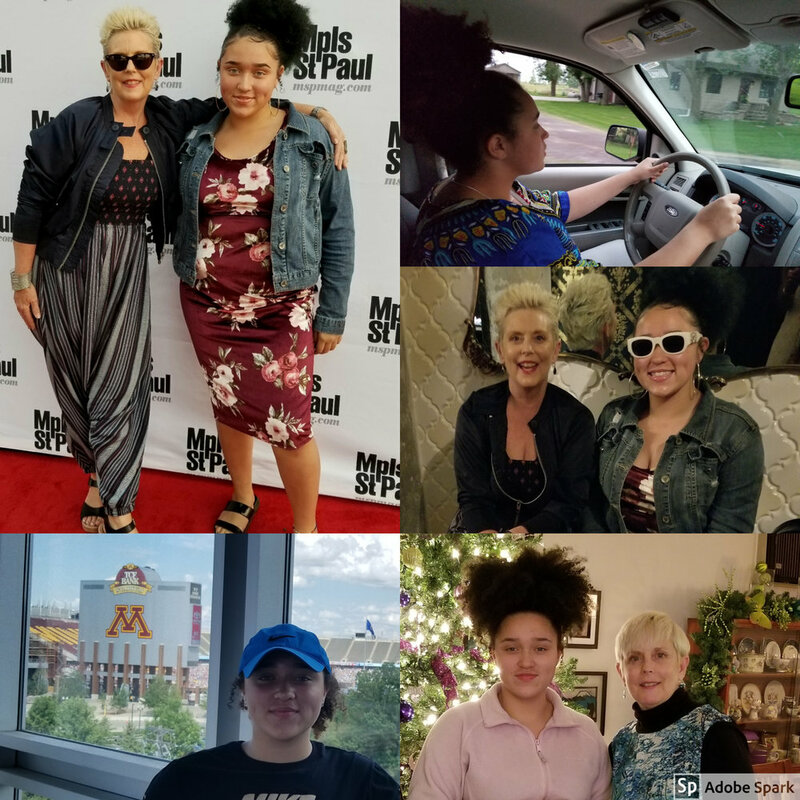 i also recieve many opportunities to go out and try new things"
Mentor Emily and Kinship Kid Eva are celebrating 3 years 2 months as a Kinship Match. "To start, Emily, why did you want to start mentoring? And Eva, why did you want a mentor?" "I wanted to give back. I felt like I had a lot to give and my life was too centered around me. I felt like I'd received so many blessings that I wanted to share and mentoring seemed like a great way to do that. I was excited to meet a mentee and their family and see what they, in turn, could share with me." "Because I thought it would be fun and nice to have somebody to be with just me." J: "Has having a Kinship friend (mentor or kid) in your life had an impact on you? If so how?" "Yes! It's given me a different perspective. Seeing the world through a child's eyes, Ella's eyes, has taught me a lot. It's made me cognizant of the effect I can have on others in a positive way if I let myself. It's taught me to be patient, it's taught me not to take anything in my life for granted, and it's just made me feel so blessed that Ella's allowed me to be part of her life." "It's been good. It has made me feel important and it's nice to have attention from an adult." J: " What have been one or two of your most memorable outings/adventures?" Any of our trips to the Science Museum, any time we've gotten to hang out at the pool at Emily's apartment, and bowling! J: "What would you say is the best attribute about your Kinship Friend? Explain why you shared what you did"
"Ella is kind, smart, curious and thoughtful. She always thinks of others, she cares deeply about animals, she's a great problem solver, she is independent, and she loves to learn." "Emily is sweet, nice and kind, because she gets me stuff and she is flexible with her time." J: "What is something you've each come to learn about each other since you've been matched"? "She is flexible and will do what I like to do. She is responsible and dependable." "Ella loves crafts and experiments! She loves to be outdoors and around animals." J: "Emily, If you knew someone who was thinking about mentoring a kinship kid, but they had doubts about being able to do it, what would you tell them?" If I could tell someone thinking about mentoring a Kinship kid, but they don't feel like they would be able to.....what would you say? Do it!! It's not about planning extravagant events every week or worrying you'll say the wrong thing or spending a bunch of money - it's about the little things. Spending quality time together, supporting each other, watching your mentee grow, just being there for the little moments. "Do it! It's fun and you can do fun activities together." "Every child needs at least one adult who is irrationally crazy about him or her." Our partnerships with various community agencies allows Kinship to make available free and low cost event opportunities to our Kinship participants. Thank you to Tickets For Kids for all the donations they have made to our program. Because of their donations of tickets you will see highlighted above a few pictures of some Kinship Families & Matches enjoying a collection of the first events of spring and summer! 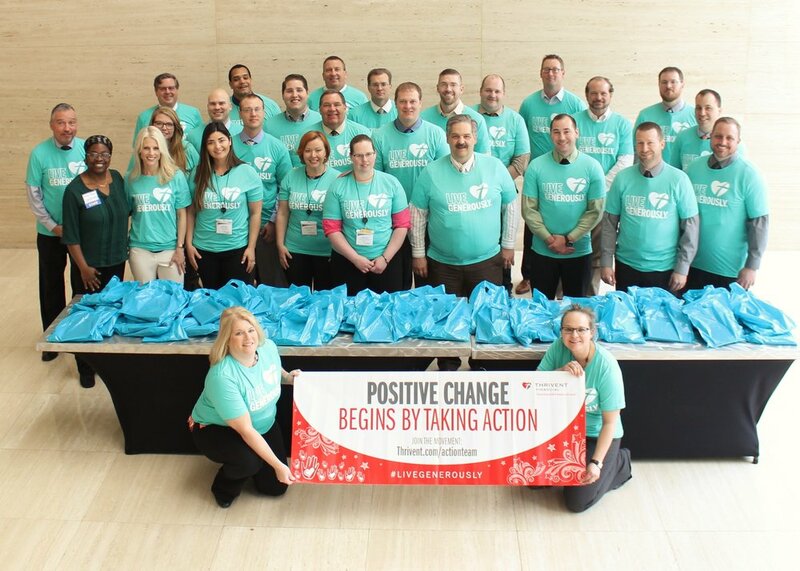 A special thanks to Thrivent Financial who once again donated funds and whos volunteers packaged 100 Volunteer Appreciation bags in April, and 50 Back-to-school bags in early June! This was accomplished via their Action Leadership Training Team! 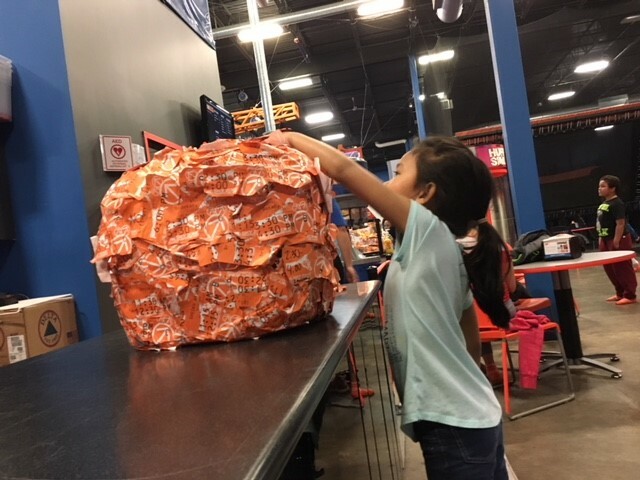 These appreciation bags were awarded to this years Mentor Connects, a late April Volunteer gathering, and eleven mentors who's matches formally closed as their Kinship Kids aged out by graduating this past May/June! CONGRATS to our 11 Kinship Grads! It may be too soon to think about back to school seems, but Kinship is already planning our annual Back to School kick-off in August. These back packs will supply our attendees of this year's event with a new book bag and all the supplies to start the school year off right! Finally a special thanks to St. Philip's Lutheran in Fridley, who has generously once again offered us their space for summer info sessions and April's mentor connect meeting sites. Let the Summer Fun Begin!! As winter gives way to the spring and summer our mentor matches have again been enjoying Mentoring activities outdoors! Pictured (left) - Anna and her Kinship Kid who used their winnings to buy healthy kits they plan to give to homeless on an upcoming outing! Thanks again to Thrivent Financial for your generous support and donation of Thank You Gifts for Mentors & Back To School Supplies for our Kinship Kids! We were happy to host Schultz Family Foundation & Carlson Family Foundation this quarter for their ongoing support of all we do! Wow! What a year 2017 was for all of us here at Kinship! We said goodbye to some familiar faces, and welcomed some new faces to our team. Even during this year of transition, Kinship Greater Twin Cities was busy at work making matches, coordinating events/activities, and most importantly providing all of our participants the high quality program support they've come to identify with the Kinship name! Thank you - Staff, Mentors, Families, Youth, Donors, Supporters near and far - for making this a year one that will launch Kinship into 2018! 2018 will be our 64th year in mentoring! 64 years at building and supporting a stronger community one relationship at a time! Please enjoy these highlights from 2017. Kinship Mentors stick with their Kinship Kids for much longer than the national average of mentor matches! Kinship Mentor Matches on average are between 3 and 4 years in length! We offered our Kinship Kids experiences they might otherwise not have had do to access and/or other barriers. Kinship organized and offered unique opportunites so our youth can learn and thrive! Kinship Kids had signed thank you cards at Kinship's December Kinshoppe Christmas event. The Kinship staff enjoyed mailing out kid crafted thank you notes that they made for their mentors! The entire month of January we also made sure to highlight and thank our mentors. 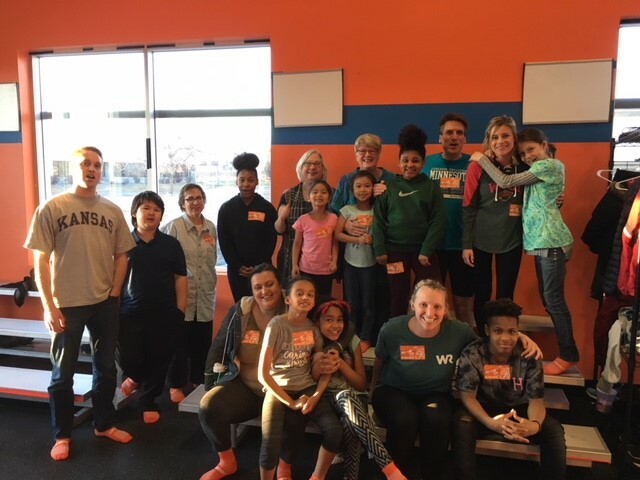 We offered the program's thanks for all they do to open their hearts, homes, and time to being present with the Kinship Kids they are connected with. 11 Kinship Matches were lucky to attend 2018s Mentor Appreciation game! The lucky matches along with other mentor matches from a select group of twin cities mentoring programs were recognized during the game. A few lucky kids were given special fan experience as part of this years event! Mentor Wendy and Kinship Kid Debbra are celebrating 6 years 2 months as a Kinship Match. Taneal: "To start, Wendy, why did you want to start mentoring? And Debra, why did you want a mentor?" Wendy: "Because I had amazing, loving, and great role models. My parents were Christian, kind, and thoughtful people, and from their example I wanted to pay it forward." Debra: "I remember not having much to do and I wanted to have something to do on weekends and after school." T: "What has been your favorite spot/place/outing? Debra: "Our favorite spot in summer has always been a water park. Our favorite one to go to has always been Como's water park and Bunker Beach"
Wendy: "The Foshay is our place....we always try to find it when we drive by Minneapolis. Also, the new library downtown Minneapolis was one of our places to go, especially when Debbra was younger. I would say our summer spot is any water park." W: "A great impact, and it helps me remember how it is to be a kid! Debbra is a great addition to my life in many ways. I think of her, as part of my family. We met when she was 7 years old, and now she is 13! The experience is beyond words, she has made my life better all the way around. I have a higher purpose in life---what is better than that?" D: "Having a mentor has impacted my life in many ways but the biggest impact has been seeing different places and doing things that I probably wouldn't have done if it was not for Wendy. Like going to South Dakota and to a concert." W: "I'd say my favorite outing was going to the Foshay and then onto a Flo Rider concert at the Mall of America. Debra was in the video for Disney Channel while we were there. When Debra and her sister went with me to South Dakota to stay at my mom's house for the weekend." 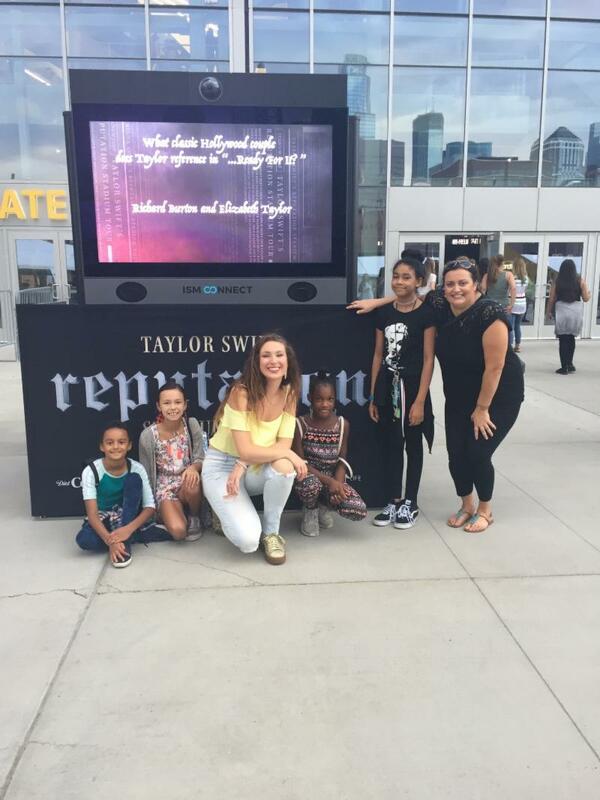 D: "One of the most memorable outings has been our trip to the Foshay Tower where we met a guy who is friends with Flo Rida and from there we went to the Mall of America to see Flo Rida perform and the guy we met waved at us!" D: "Wendy is a very planned out person and she cares about what you have to say. She is also very kind and always happy!" W: "Debra is a smart, kind, beautiful, creative, athletic, thoughtful, and forward thinking person, and just a wonderful kid!" D: "Wendy is a hard worker, even when she has a busy schedule she will find time to get togheter!" W: "Debra remembers what we discuss, and plan for our future!" T: "Wendy, If you knew someone who was thinking about mentoring a kinship kid, but they had doubts about being able to do it, what would you tell them?" W: "Would you ever give up a niece, nephew, daughter, son, or god child? No! These are some of the most important relationship in our lives. The chance to help a kid through a struggling home life is a major chance to give back, to change their course in life for the better...to get them to break the cycle of poverty, and hopelessness! Of course mentoring is one of the best things you could and would ever choose to do in this life!!!!!!!!" Over 150 Kinship Kids are waiting to be matched with reliable, caring, and encouraging mentors like Wendy. If you or someone you know is interested in becoming a mentor contact Kinship today! Thank you to Tickets For Kids for all the donations they have made to our program. Highlighted below you will see a few pictures of some Kinship Matches enjoying various theatre productions around the Twin Cities! A word of thanks for our ongoing donor Park Tavern in St. Louis Park. Park Tavern again donated 4 hours and 8 lanes (80 bowling spots) so that Kinship could host our annual Mid Winter Bowling Event. We had a lot of fun, and there is proof...please find those highlights below! Thank you to a new community partner Capitol Hill Elementary for inviting Kinship to their "Do Good Together" day February 27, 2018. 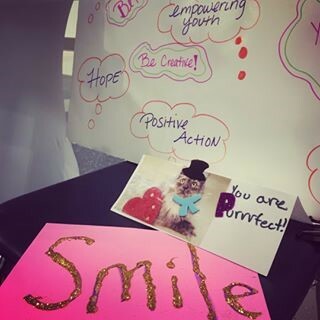 Kinship staff created an "Affirmation Station", in which youth got to come and learn what an affirmations is, and then were encouraged to create an affirmation card that will make its way to one of the Kinship Kids on the wait list for a mentor. In total the youth made 85 affirming cards, and we are eager to get them to our Kinship Kids soon to brighten their day! See a few pictures below! A special thanks to Thrivent Financial who once again donated funds and packaged 100 hygiene kits for Kinship Kids! This was accomplished via their Action Leadership Training Team! These kits are items we take out to home visits as a way to teach good hygiene habits, and to provide items that some of our families may not have access to obtain regularly. See pictures below! Thank You to Thrivent Financial again, for hosting us at our Annual Mentoring Matters Fundraiser in October. Thank you to St. Philip's for the continued partnership and your churches support in helping us put on our programming and activities for our Kinship Participants. As well to all those many individuals who donated either at the Mentoring Matters Fundraiser or our current year end appeal! Keeping Up with Kinship Q.4. Mentor Allison and Kinship Kid Sara are celebrating 4 years 2 months as a Kinship Match. Taneal: "To start, Allison, why did you want to start mentoring? And Sara, why did you want a mentor?" Allison: "I wanted to give back to my community in a personal way. I wanted to make a difference in someone's life. I also realized that I was very fortunate to grow up in a home with 2 parents and a great support structure and thought if there was someone out there that didn't' have that, that maybe I could help. I also knew it would be a way for me to grow as an adult and open my eyes to new things." Sara: "I wanted to have a closer connection and relationship with another adult beyond my mom. I wanted to have another support system to lean on"
Both: "Bull Run (now called Vicinity Coffee Shop) on Lyndale Ave. in Minneapolis. This is our 'go-to' Spot! We have carved pumpkins there, played Jenga and other games, worked on our scrapbook and just talked". A: "Yes!...Absolutely! Getting to know Samia has opened my eyes to what it is like to be a young adult in today's society. Getting to know Samia has been such a priceless gift and I know we will have a special relationship for the rest of our lives." S: "Yes! Allison is always there for me and I really enjoy having another adult figure to hang out with." A: "We took pictures together every time we hung out and started a scrapbook. S: "We love going to coffee shops and working on our scrapbook together. A: "Not only is it great to have and look back on, but we enjoy spending time together making it." S: "We also love going to Timberwolves games." S: Allison is very caring and sweet. She is always helpful and generous...that's what I like about her! A: "Sara is always open to trying new things...even if she has never tried them before. We went roller skating once and Sara had never been. She was nervous, but that didn't stop her. I love her willingness to spread her wings"! S: I learned that Allison is curious and wants to learn about peloplle and also that she likes to try new things"! A: "I learned that Sara is an introvert who when given the stage shines super bright and has so much to give to this world! Her calm and respectful presence matched with her charisma for life will serve her well"! T: "Have you learned anything new about each other's culture"? S: "I learned water-skiing is common sport in 'Midwestern-America' culture and especially in MN (the land of 10,000 lakes). Allison and her dad and I went to see the MN River Rats water ski show one summer together and I learned that her family does a lot of water-skiing". A: "Yes, most definitely. I am Christian. Sara is Somali Muslim. I have learned a lot about Ramadan, which has been great to understand. I have even tried some traitional Somali food. Sara's grandmother made Malawah and let me try...it is a Somoli Sweet Pancake....and it is delicious"! T: "Allison, If I knew someone who was thinking about mentoring a kinship kid, but they had doubts about being able to do it, what would you tell them?" A: "I would say...DO IT! You won't regret it. Whatever your reservations are, you will be able to work through them. Kinship does an amazing job of supporting and preparing their mentors! Mentoring Samia has been such a beautiful gift. Samia and I met when she was 9...she is now 13. It has been so great seeing Samia grow into a beautiful young woman. I have enjoyed how our friendship has grown." T: "Sara, If you could tell a peer/friend why they should have a mentor what would you say?" 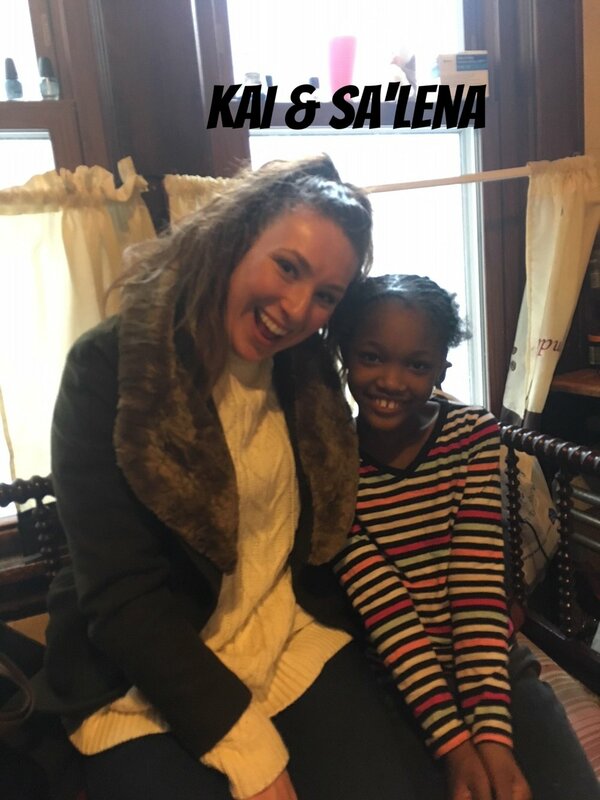 S: "I would say they should try it out, because it's a great support system and its great to have another adult in your life to support you.."
Over 150 Kinship Kids are waiting to be matched with reliable, caring, and encouraging mentors like Allison. If you or someone you know is interested in becoming a mentor contact Kinship today! Our partnerships with various community agencies allows Kinship to make available free and low cost event opportunities. Thank you to Target who hosted some of our Kinship kids for Mentor for a Day with TNC Volunteer Council! Kinship kids were paired up with Target staff and got to tour the Target TNC center, they got to learn about jobs/careers, lunch was provided, and each kid was able to leave with some Target swag and a $10 gift card. Thank you to Gethsemane Lutheran Church for allowing us to partner with them at their annual Fall Festival. Kinship staff were in charge of the craft activities. 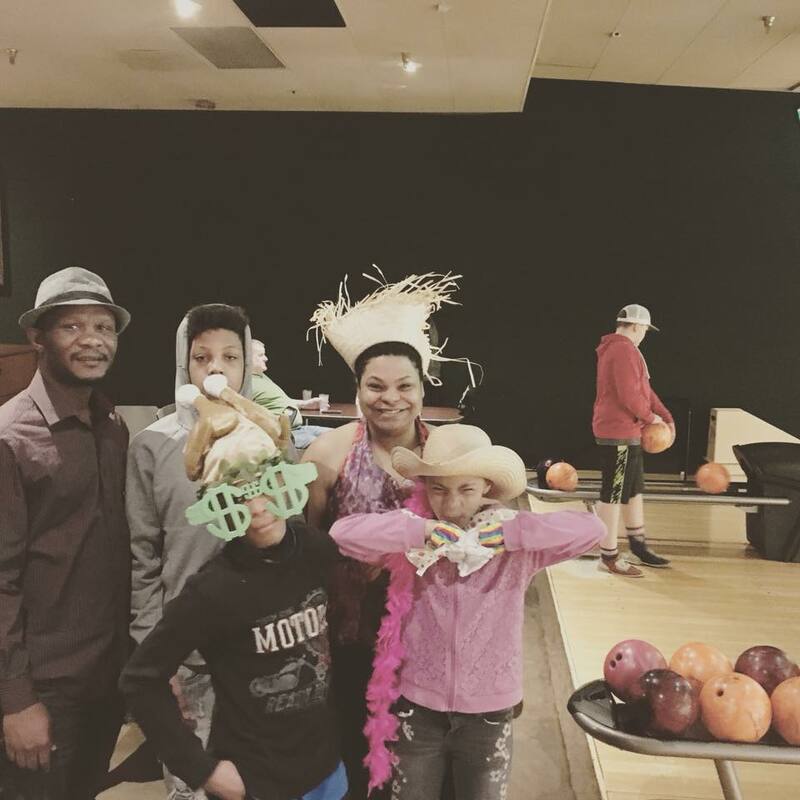 Kinship matches, church members (young and old), and the community was invited to a safe and fun night of snacks, costume party, and other spooky themed activities. A special thanks to Thrivent Financial who once again who hosted the Kinship Program for Mentoring Matters 2017: Annual Fundraiser & Luncheon. This year we were happy to have local soccer legend, Tony Sanneh, speak on pillars of character and share how mentoring has been an important part of what he believes in. We had a Kinship match of 2 years share about their friendship. Lastly, we were happy to have hosted, Barbara Carlson Gage, who Kinship awarded an honorary lifetime achievement award, for all the support and advocacy she has given to mentoring programs in her time at the Carlson Family Foundation! Finally a big word of thanks to St. Philip's Lutheran in Fridley. St. Philip's donated their space and many members of the church to Kinship's Annual Kinshoppe Christmas Program. 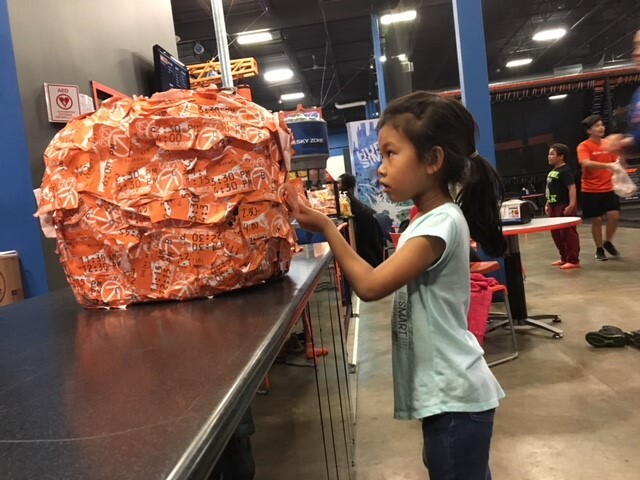 "Kinshoppe" is an opportunity for our families to partake in a family tradition that low income families report they are unable to do with their limited income. This is an event for the kids to shop for their siblings, parents or guardians for Christmas presents. They wrap the items and bring them home to place under the tree. During a season of "Me Me Me" we try to intentionally provide a spirit of giving. Kinshoppe includes many partnerships to make this day a celebration; MN Trucking Association collects and provides the toys and gifts, Churches who provide the facility, volunteers who provided goodies. Many volunteers, a great deal of whom return year after year because they enjoy helping to bring the experience of " giving to others" to the kids. This year we had 155 youth register and shop for their family. We gave out nearly 350 gifts! Thanks to the St. Paul Winter Carnival Royalty and South High's Girls Basketball team who took our event from spectacular to amazing! Their presence at this years event produced lots of smiles, and I'm sure will make our Kinship Kid's Holidays a little more special! Copy of Timely back to school advice from a mental health community partner of ours that serves many of our Kinship Kids. For many kids going to back to school means making new friends, learning, and growing. But for kids who have a mental health disability, going back to school comes with some unique challenges. Not only do they have to navigate the regular stuff, like new classrooms and new rules, but they also have to manage their mental health symptoms-which can be overwhelming for both kids and their parents or caregivers. If you are the parent or caregiver of a child with a mental health disability, there are a few things you can do to make the transition back to school a little easier. Perhaps the most important thing you can do is check in with your child before the school year starts. Set aside time to have a conversation and find out what they are both excited and nervous about. Review things they struggled with last school year, such as staying in the classroom or getting along with peers, then come up with a few strategies to address these concerns and building on what has worked before. Once their concerns and yours have been addressed, steer the conversation toward some of the regular things kids look forward to about the start of the school year, like what outfit they can wear on the first day or what activities they want to do. Sometimes kids will say they have no concerns and that nothing will go wrong this year, but that is most likely wishful thinking. If your child does this, let them know that while you want the year to go well too, it is normal for kids who have mental health disabilities to struggle at times. Be sure to let them know that you will love and support them even if some of last year's problems resurface. This is important because kids often feel like they've failed if their symptoms return or worsen. It is important for both you and your child to go into the school year with reasonable expectations. As the saying goes, "Hope for the best, but prepare for the worst." Another thing you can do early in the school year or even the week before school starts, is connect with your child's teachers and guidance staff. When you talk with them, let them know what concerns you and your child have, and work with them to find solutions. If your child has a 504 Plan or Individualized Education Plan (IEP), this is a great time to explore what the accommodations in it will look like this year and review what worked and didn't work last school year. IEPs and 504 Plans are legal documents that ensure school staff and parents are on the same page with regards to supporting students with disabilities. If your child is not on an IEP or 504 Plan, consult with school staff for more information and to see if getting one would be helpful. When you check in with school staff at the start of the year, make sure to also let them know about positive things in your child's life and what your child's hopes are for the new school year. Raising a child with a mental health disability isn't easy and no family does it without help. Keeping an open dialogue with your child about their mental health and seeking support can make a huge difference in helping children cope with mental health symptoms. If at any time you feel your child needs more support, reach out to the school or check in with Headway to see what type of support is available. If we can't help, we'll gladly refer you to someone who can. For More information on how we can help, click HERE! We strive to help youth in the greater metro area reach their full potential by matching them with caring and supportive mentors. Mentor Theresa and mentee Parker are celebrating 5 years 5 months as a Kinship Match. Prior to wrapping up her time at Kinship former Coordinator, Kelly deRosier had a chance to catch up with these two to see how things have been going. Kelly: "To start, Theresa, why did you want to start mentoring? And Parker, Why did you want a mentor?" Theresa: "My oldest son had just left for college and I was feeling both like I had extra time on my hands and that I wanted another young person in my life. I guess I wasn't quite ready to start the 'empty nesting' process." Parker: "To have someone to talk to other than my parents"
K: "What would say is the best attribute about your Kinship friend?" T: "He has deep love for his family, both immediate and extended, is extremely well-mannered, and is very emotionally intelligent." P: "She is loving and caring, always asks me questions, and wonders and cares how I'm doing"
K: " Of the years you've been together, what would you say has been your favorite spot/place/outing?" T & P: "We both agree on this one! W find ourselves at Chipotle more than any other spot. We have spent many an hour conversing over a burrito at Chipotle." K: "Theresa, If I knew someone who was thinking about mentoring a kinship kid, but they had doubts about being able to do it, what would you tell them?" T: "Just do it! It's a commitment of a few hours a week, but it's a lifetime of difference for a young person and for yourself." K: "Parker, If you could tell a peer/friend why they should have a mentor what would you say?" P: "You will have a friend for a very, very long time." Over 125 Kinship Kids are waiting to be matched with reliable, caring, and encouraging mentors like Danielle. If you or someone you know is interested in becoming a mentor contact Kinship today! Our partnerships with various community agencies allows Kinship to make available free and low cost event opportunities. A long running community partner that keeps our Kinship Mentor Matches and our Kinship Waiting List Families busy all year round is Tickets for Kids Charities. 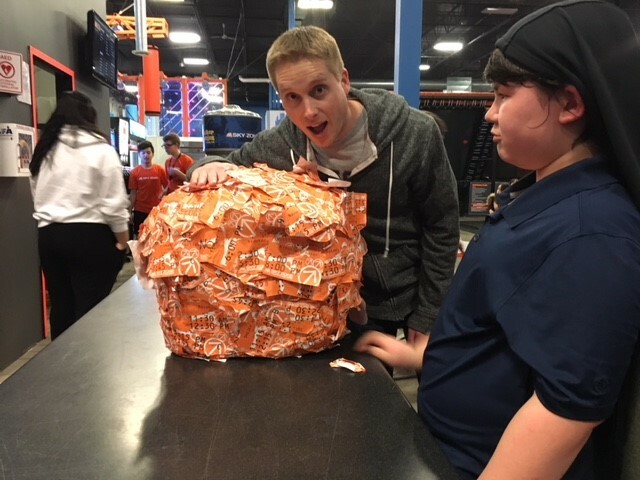 This summer especially has been a busy one for all participants from theater, to sports, and even sports camps...Tickets for Kids ensures that all of our participants have access to experiences they other wise might not have access to. Thank you Tickets for Kids, MN! Finally a big thanks for Create A Memory, for inviting Kinship to your event again this year! Kinship Kids got to meet players, be interviewed, and participate in fun activities at Twins Stadium! Thank You to Thrivent Financial again this month, as you made sure our Kinship Kids went back to school with supplies to start this year off on a good note! Thanks also to St. Philips Lutheran Church, Fridley for hosting us for our Back To School Game Day! 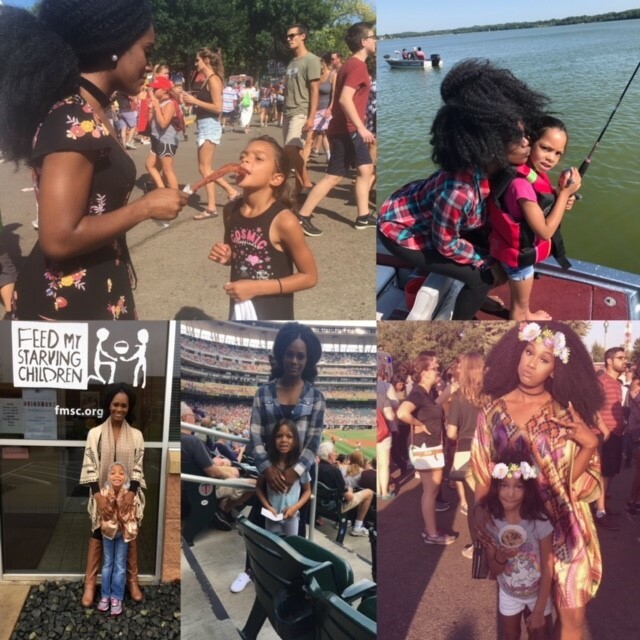 “Without our sponsor’s Kinship of Greater Minneapolis would not be able to support the children, families, and relationships in our neighborhoods. Your generosity allows us to continue to provide quality supervision and support to our matches. Starting this year stay in touch with Kinship every quarter through "Keeping Up With Kinship" and "Quarter Connection". Read about matches through "Meet A Match", see our Community Partners in action, and stay up to date with all programming updates. The Need: Hundreds of metro area children and youth are in need of positive relationships with stable, caring adult mentors. Most of these children come from single parent or grandparent led households and some have an incarcerated parent. Often the adults are justly focused on family stability issues and have limited time available to provide guidance. 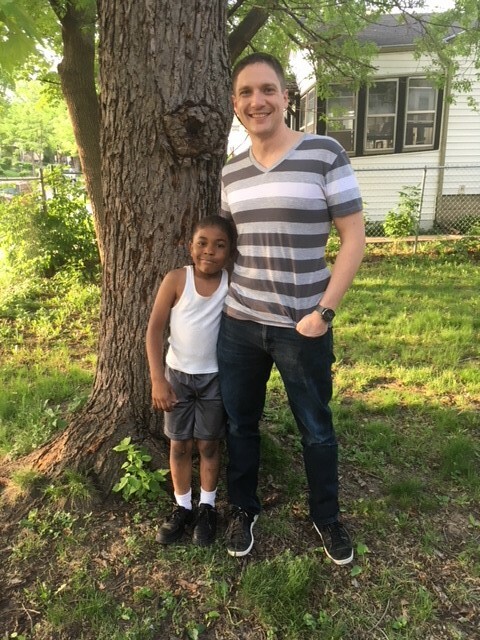 The Program: Kinship provides quality mentoring for youth who face significant economic and social barriers, ages 5 to 18, living in the greater metropolitan area. The program connects children and youth with caring adults, couples and families. Furthermore, Kinshipnurtures positive self-esteem and character development, strengthens connections to school and community, and is respectful & welcoming of all faiths. Who We Serve: A majority of the participating children live in poverty and are in need of positive role models and guidance. At this age, preventive intervention is most successful. Youth are most open to envisioning a positive future and embracing the steps they need to take to reach their goals. This period of growth is an ideal time to benefit from the skills of a strong mentor. Mentor Danielle and mentee Saray are celebrating 1 year 8 months as a Kinship Match. 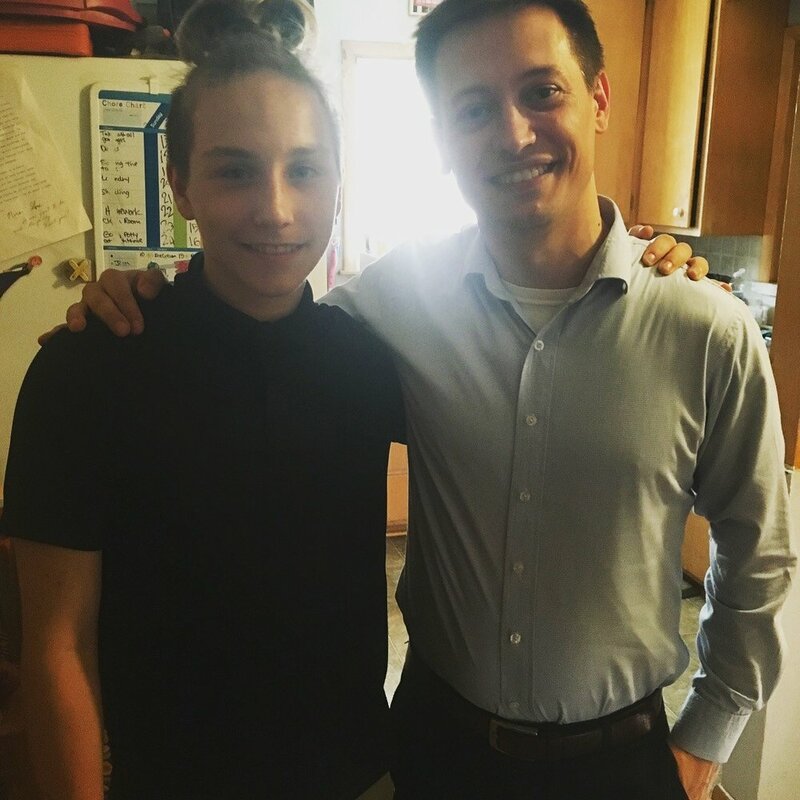 Recently, Kinship Program Manager, Jerod Petersen had a chance to catch up with these two to see how things have been going. Jerod: "To start, Danielle, why did you want to start mentoring? And Saray, Why did you want a mentor?" Danielle: "I was looking for more interpersonal, one-on-one time with youth. Through other volunteer programs with kids in the city, I noticed the impact this could have." Saray: "To do things when I'm not busy doing sports." J: "What have been one or two of your most memorable outings/adventures?" S: "When we first went to Danielle's house and made homemade superman pizzas. D: "Our apple orchard day that spontaneously also turned into a Twin Cities Home tour day. It was fun to dream together." J: " What about your favorite spot/place/outing?" J: "Would you say that having a Kinship friend (Mentor or kid) in your life has han an impact on you? If so how?" D: "Yes. Mentoring has shown me the value investing time in one person outside of your work and friend circle can have. Saray has opened my eyes to the challenges many kids in our community have to endure and overcome. She is kind, curious, respectful and has a grateful spirit." S: "Yes, it gets me to go out and see the world more." J: " What would you say is the best attribute about each other?" D: " Saray is caring. She shows kindness and respect to new faces. I see and hear this through our shared experiences and her stories about family and school." S: "Danielle is loving. She helps me when I'm down and sad. J: "What is something you've each come to learn about each other since you've been matched?" D: "I've learned that Saray is very strong and mature for her age. S: "I've learned Danielle has her own style, like only wearing basic colors like black and gray." J: "Danielle, If knew someone who was thinking about mentoring a kinship kid, but they had doubts about being able to do it, what would you tell them?" D: "[I would tell them that] Kinship is a supportive and engaged organization. Free programs in the city make outings exciting and interesting for both mentor and mentee. It's rewarding and touching to see your relationship grown over time. Don't be afraid or worried if trust takes longer to earn. It's normal and worth it." J: "Saray, If you could tell a peer/friend why they should have a mentor what would you say?" S: "[I would tell them that] Having a mentor is really fun because you get to do things you normally wouldn't do at home and it helps give you a positive attitude." Kinship's partnership with various community agencies gives our mentees and mentors access to a variety of free and low-cost opportunities. One of our newer partnerships is with the North Central States Regional Council of Carpenters. By way of their hands-on-youth focused carpentry event, Kinship kids along with their mentors and guardians were able to participate in fun, creative, and safe woodworking projects. Last year Kinship Kids were invited to build toolboxes, while this year our Kinship Crew built bird houses. Thank You Downtown Minneapolis Kiwanis!